This is Ken Block on his way to victory at the Rally Whangarei in New Zealand last weekend. 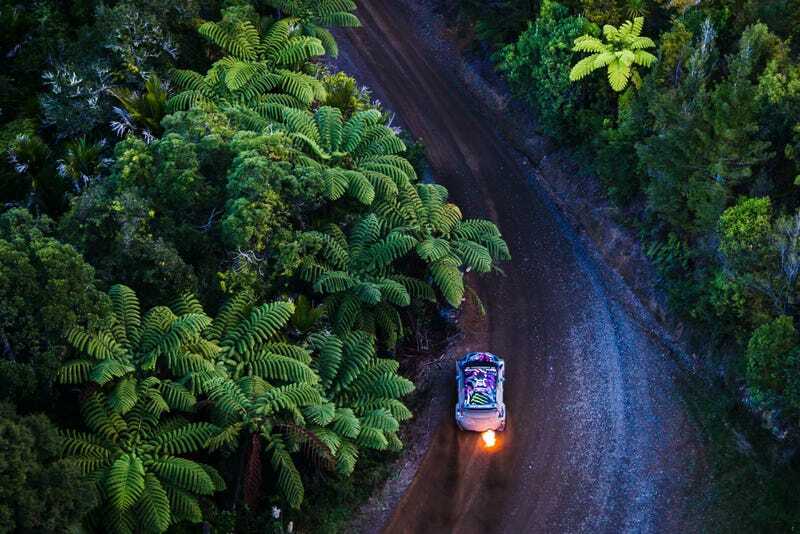 The picture was taken by Hoonigan Racing’s tame photographer following in a helicopter. The flames, the colors, the fern trees. Unreal. Photo Credit: roncar/Hoonigan Racing. See more of his stuff here on instagram.